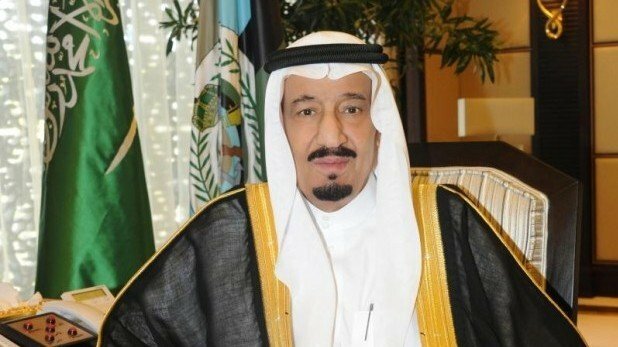 King Salman of Saudi Arabia has pledged continuity, hours after his accession to the throne following the death of his half-brother, King Abdullah. The new king moved swiftly to appoint heirs and ministers, including one prince from the ruling dynasty’s third generation. King Abdullah bin Abdulaziz Al Saud died last night, weeks after being admitted to hospital with a lung infection. He was buried in an unmarked grave in Riyadh, following Friday prayers. King Abdullah’s burial was conducted in line with the traditions of Wahhabism – the ultra-conservative form of Sunni Islam followed by the kingdom – where funerals are austere and simple. His body was wrapped in a shroud and taken by ambulance to the Imam Turki bin Abdullah mosque in Riyadh. Following prayers, which were attended by Gulf heads of state as well as foreign leaders including Turkish President Recep Tayyip Erdogan and Pakistani PM Nawaz Sharif, King Abdullah’s body was taken to a public cemetery and buried. Within hours of acceding to the throne of the oil-rich kingdom, King Salman bin Abdulaziz Al Saud, 79, vowed to maintain the same policies as his predecessors. “We will continue adhering to the correct policies which Saudi Arabia has followed since its establishment,” the king said in a speech broadcast on state television. He named another of King Abdullah’s half-brothers, Muqrin, who is in his late 60s, as the new crown prince. Interior Minister Prince Mohammed bin Nayef, 55, was appointed deputy crown prince, making him second in line to the throne and effectively smoothing the line of succession for years to come. Crown Prince Mohammed bin Nayef is a grandson of King Abdulaziz, usually referred to as Ibn Saud, the founder of modern Saudi Arabia. The crown has so far passed between Ibn Saud’s sons, but few are still alive. King Salman also appointed his own son, Mohammed bin Salman, as defense minister. Other ministers, including foreign, oil and finance, were kept in place, state TV reported. King Salman spent 48 years as governor of Riyadh province before becoming crown prince and defense minister. King Abdullah came to the throne in 2005 but had already been Saudi Arabia’s de-facto leader for 10 years because his predecessor, King Fahd, had been debilitated by a stroke. Abdullah was said to be aged about 90. He had suffered frequent bouts of ill health in recent years, and King Salman had recently taken on the ailing monarch’s responsibilities. President Barack Obama paid tribute to King Abdullah as a leader who “was always candid and had the courage of his convictions”. Vice-President Joe Biden said he would lead a delegation to Riyadh to pay respects. Israeli President Reuven Rivlin praised King Abdullah’s “grounded, considered and responsible leadership”, while Iran offered Saudi Arabia its condolences and said its foreign minister would travel to Riyadh for an “official ceremony” on Saturday. However, human rights groups said Saudi Arabia’s human rights record had been poor under King Abdullah.